Well, if I was looking for a Cinderella story to make it over 2100 this past weekend, I certainly didn’t find it. This year’s edition of the Pennsylvania State Championships pushed me to the limit – testing my stamina, resilience, and my composure in ways that I have never been tested before. 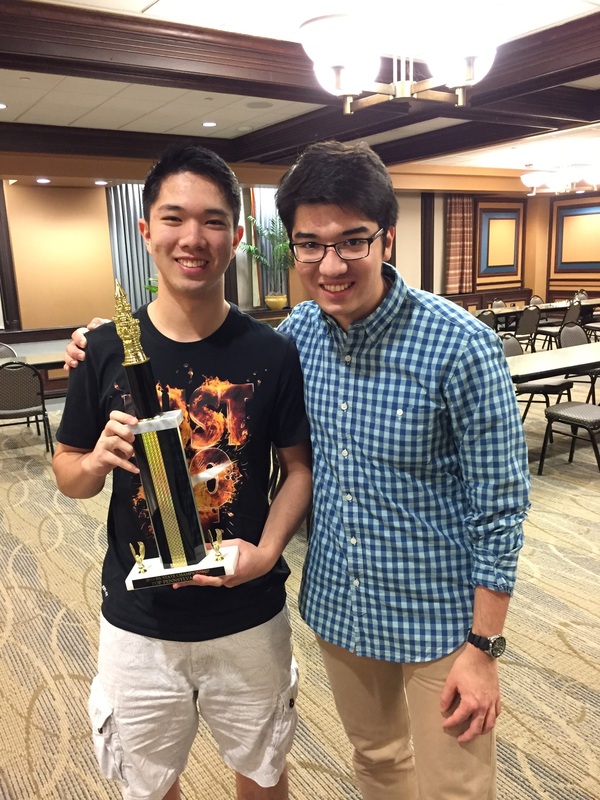 Upon the tournament’s conclusion, I had convinced myself that the 3/5 result I produced simply derived from bad luck. With a little over a day to rethink my results, I have to admit, there were a lot of elements working against me, but I also created my own luck in the latter half of the tournament, which saved me from having an even worse result. What do I mean by bad luck? Until the last round (when it was already too late), I was never able to put together any serious momentum. In the first round, I got paired down against an ambitious youngster. Even though I got an edge out of the opening, I hyperextended and quickly lost my advantage. While I missed a chance late in the game to win, my opponent didn’t make any mistakes and was able to hold the endgame to a draw. Not an ideal start, but a comeback is manageable, right? 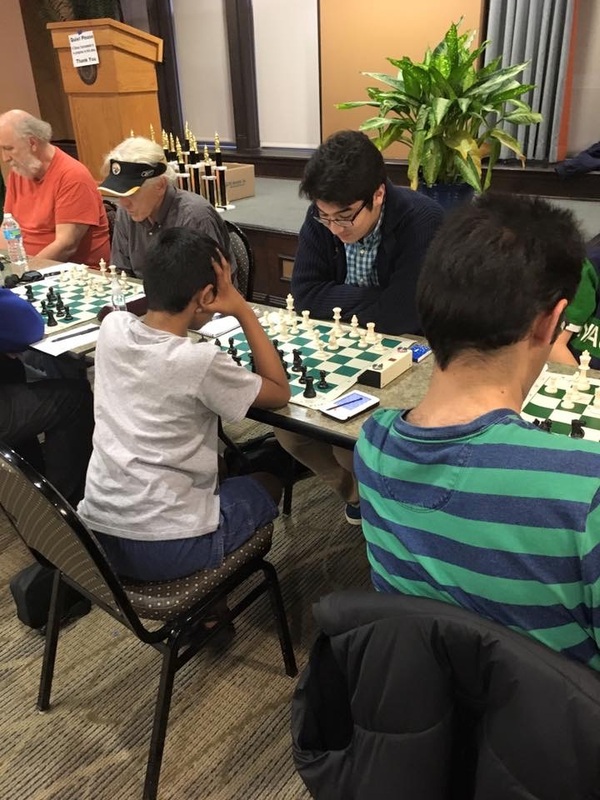 With only thirty minutes between the rounds to catch my breath, I learned that I would play defending State Champion and fellow Chess^Summit author Grant Xu for the first ever Chess^Summit v Chess^Summit tournament match up. Grant had taken a half point bye in the first round and was ready to play, surprising me out of the opening and catching me off guard. 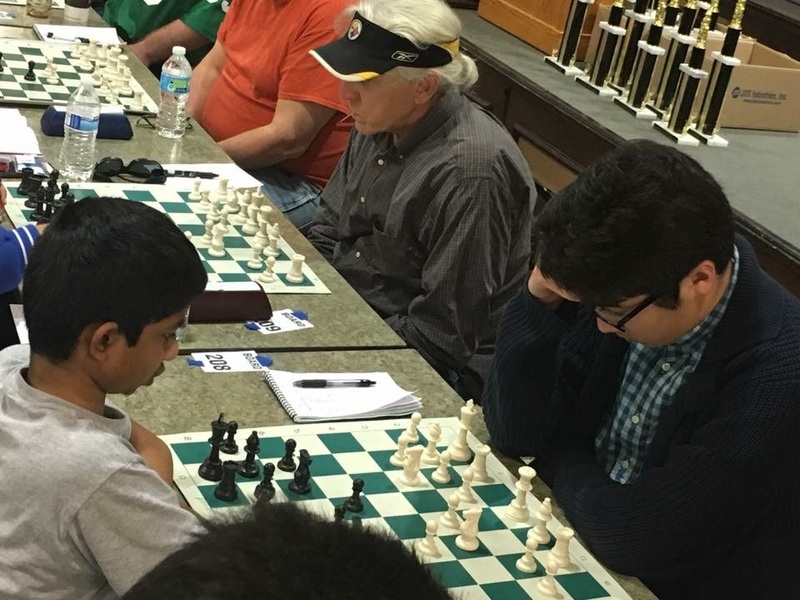 While I didn’t have the best weekend, Grant was able to successfully defend his state title, winning each of his four games and reaching a rating of 2396! 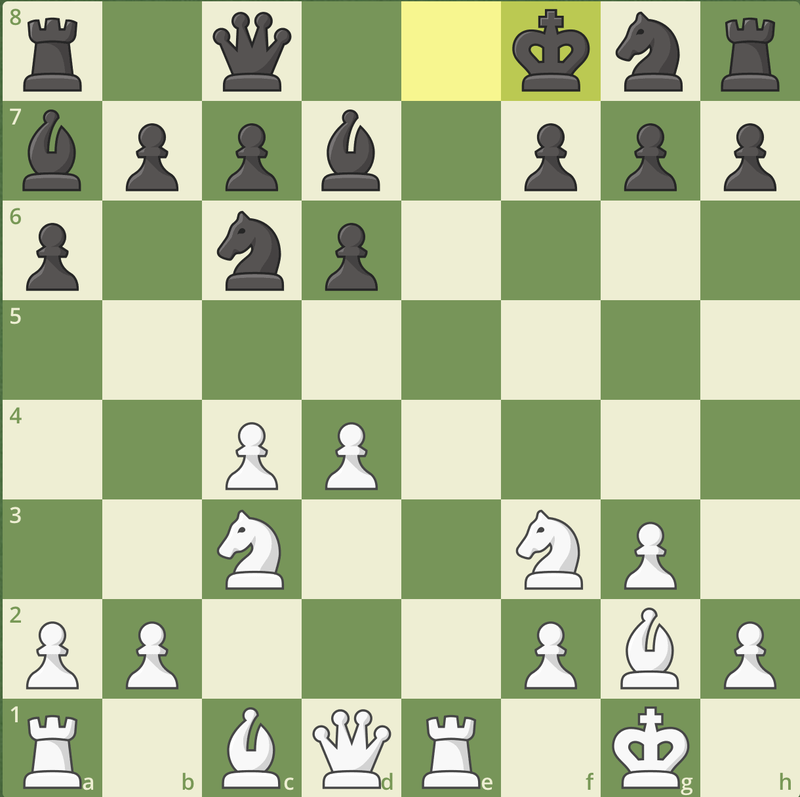 Though I somehow managed to equalize, I was too tired to complete the result and managed to blunder my way through the rest of the endgame, dropping my score to 0.5/2. This put me in a really tough tournament position, as I would need to win out to objectively have a “good” tournament. At that moment, I felt like I had had some bad luck with the pairings, and went back to my dorm room to rest up for the last round of the night. Sure, it wasn’t ideal to play Grant with so little time between rounds, and sure, my first round opponent wasn’t quite the game I was hoping to open with, but in reflection, given the positions I had, I think I had some opportunities to score better. Going into the last game, I took the right mentality, forgetting the first two games and telling myself that I was now playing in a three-round tournament. Now this was my chance to create my own luck. I got paired against a 1500 that night, but still treated the game as if I were playing someone my level. The affair was rather one-sided, but there was an instructive moment during the game that I thought I ought to share. In this position, it’s my turn, and I’m clearly better. Black has lost his right to castle and has a significant lack of space. Yet how should I press on as White? Black doesn’t have any structural weaknesses and actually has the idea …Be7-g4, attacking the d4 pawn and trying to pry open the dark squared diagonal for his a7 bishop. After some thought, I figured the right question to ask was where should I put my dark squared bishop? I think objectively the options are about equal, but my choice offered me long term attacking possibilities. Can you figure what I decided? Though this win wasn’t exactly the most challenging, it felt nice to get back into the habit of asking the right questions and making the most of good positions. 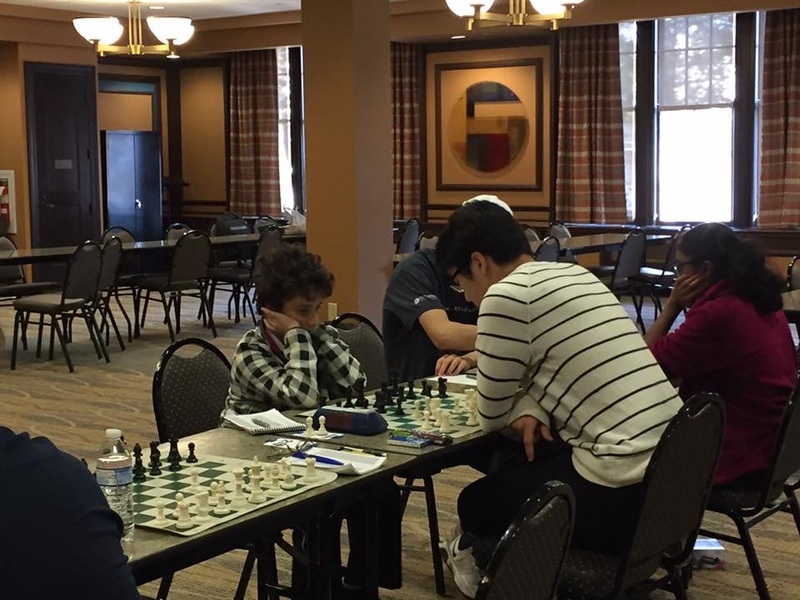 To my discontent, I got paired down in the fourth round on Sunday morning, and once again got surprised by an opening sideline in which I promptly put myself in a worse position. I could have been outplayed, but I found ways to keep the game going, eventually pushing the game to equality and even a slight edge for myself before forcing the three move repetition. While objectively a draw was a good result considering the way the game started, I couldn’t help but feel that had I known the theory better I could have outplayed my opponent and gotten a full point. This result meant my last round would be a consolation game, and breaking 2100 would have to wait again. While this was not what I wanted going into the tournament, I think this was the best situation for me at this time. Going into the last round, I felt no stress whatsoever, and having White with nothing to lose, I was more comfortable being creative over the board. This alleviation made me feel refreshed, and I produced one of the better games I’ve played since coming back to Pittsburgh. This was a critical lesson for me, when I just focus on chess, when I just focus on making the best move every move, I can play a great game. Most of the tournament I felt distracted – either being bewildered by my early results, or feeling a need to make up for them later on. But when I was just worried about chess, removing all of the emotional stress of a long weekend of dissapointment, I can well. This is what I mean by creating my own luck. 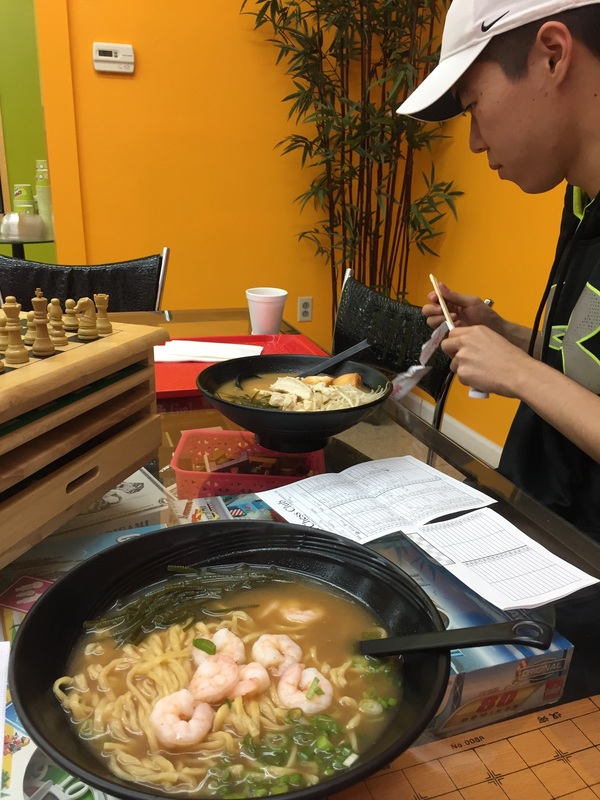 Grabbing some post-tournament dinner with Beilin and going over some games on the restaurant’s bulky chess board! Not every tournament is going to be ideal, maybe it’s just bad pairings, or the TD makes the wrong decision, or you blow a won game in time trouble – this happens to everyone at some point. To be strong player, you have to put these moments behind you. It felt like most of this weekend I got hit with something new every game – an opening line I wasn’t prepared for (twice! ), an underrated opponent, crazy pairings – all of these things were out of my control, but if I could have played as well as I did in the last round in each game, it would not have mattered and I could easily be 2100 again right now. While it was dissapointing to have trained so hard for this event to only get one opponent rated over 2000, I plan to continue pushing myself for my next tournament in early November. By then I’ll have reached my 20th birthday, and perhaps a little bit of “luck” can rub off on me then 🙂 I guess we’ll just have to see in my next post!